﻿ KGF Trailer 2: Classy N Massy! 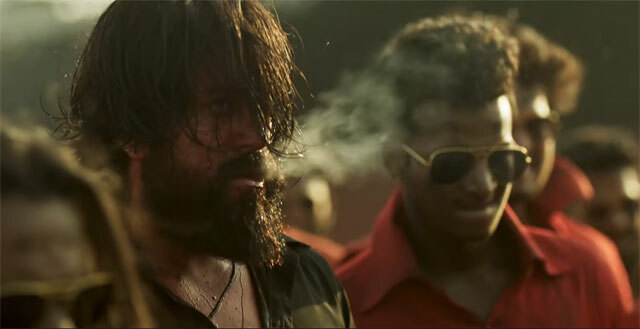 'KGF' Trailer 2 is as good as or if not better than Trailer 1. It's about the rise of a Young Boy in Mumbai Streets as the commander-in-chief of the Koler Gold Mines in Karnataka. This 70s-backdrop flick explores the conflict between India, USA and Russia that could have almost led to the Third World War. Yash as the protagonist who rises from rags to riches looks like a new version of Angry Young Man. Drastic Makeover and the right intensity he maintained is worth mentioning. Action Lovers could have a blast in theatres with the explosive stuff he does. Taking & Presentation of 'KGF' have a classy touch. And the scale seems to be massive enough to cross the language barriers. 'KGF' is being project as a Pan-India Flick. It is releasing grandly in multiple languages for the Christmas weekend. In Telugu States, Sai Korrapati of Varahi Chalana Chitra acquired the Telugu Theatrical Rights of Dec 21st release.